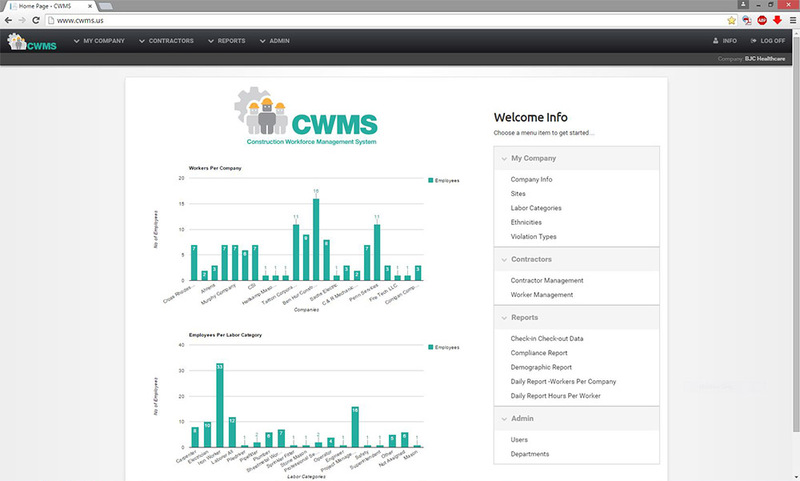 What is Construction Workforce Management System? Construction Workforce Management System’s WORKFORCE MONITOR provides a simple, hassle-free, highly reliable, low cost and efficient way for general contractors, owners, project managers, schedule consultants and sub-contractors to collect and access real-time manpower information at active commercial construction sites. It’s the next generation of power tools for the construction industry. Construction Workforce Management System utilizes Portal Monitor software to monitor commercial construction site access points and populate Construction Workforce Management System’s secure web-based databases with daily labor, safety and schedule data. logged and safety incident reports. Where space and traffic flow permit, Construction Workforce Management System deploys patent-pending Construction Workforce Management System Monitoring Portals to all job sites connected to Construction Workforce Management System. In situations where the portals won’t fit, Construction Workforce Management System works with the site manager to configure a more appropriate installation. The Construction Workforce Management System Web Portal allows subscribers to set up job schedules by both sub-contractor and by job function.When matched with actual data, subscribers have the ability to track progress proactively and avoid both unnecessary overtime and costly change orders. Using Construction Workforce Management System’s universally accessible web portal, Construction Workforce Management System’s subscribers have access to automated daily manpower, safety and labor trend information, in real-time, on a 24/7 basis throughout the life of a job. 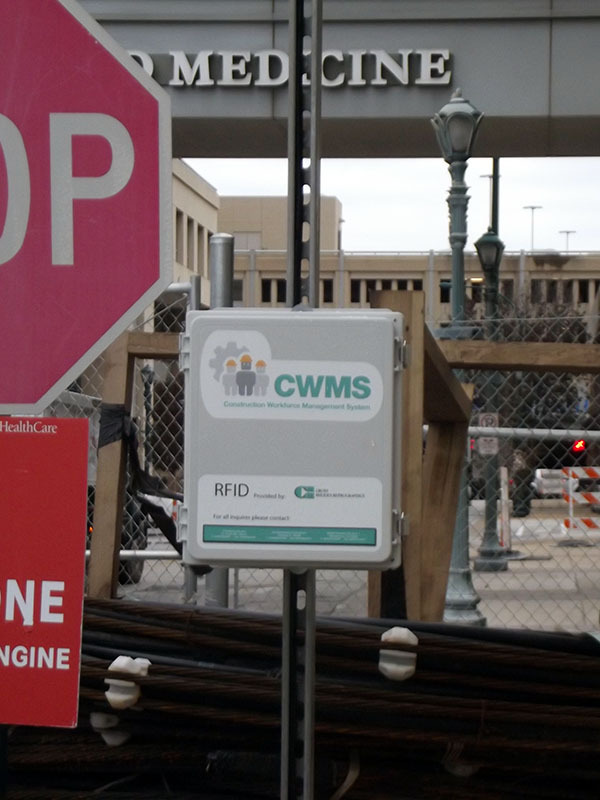 Using a proprietary passive RFID architecture and a uniquely numbered tag transponder on every hard hat, Construction Workforce Management System captures information about pedestrian traffic as it moves on and off the site and reports the activity cross the Construction Workforce Management System network as it occurs. As a result, Construction Workforce Management System provides its subscribers anytime access, on any internet accessible and web-enabled device (i.e. iPad or smartphone), to job specific resource and staffing information including actual man-hours. When a job site is connected Construction Workforce Management System, the system handles all on-site installations, equipment maintenance, network monitoring, tag data processing and equipment removal so subscribers are free to concentrate on their core business, not the technology of the network. Best of all, because Construction Workforce Management System is a subscription-based service, there’s no capital expenditure and no additional IT staff required to be a Construction Workforce Management System connected job site. Construction Workforce Management System reports are presented on-screen or by email (in both detail and summary formats) and can be displayed by site, contractor, sub-contractor, job function, resource, home zip code of each laborer and more. The real-time nature of the data, combined with the dynamic functionality of the Construction Workforce Management System Web Portal, forces everyone associated with the project to be proactive about manpower and scheduling along the way and avoid the reactive scramble that typically occurs at job end.